Imagine the interior of a finely-tuned clock mechanism, with all the dials, wheels, and gizmos clicking along in time with each other. Now extrapolate that image onto the cosmos; this is how astrology functions, with the Sun, Moon, fixed stars, planets, asteroids, comets, planetoids, and other assorted space dust moving together to create patterns in time and space. Your natal chart is a two-dimensional version of all of that movement through the heavens. Everything that will happen to you throughout the course of your life, astrologically-speaking, is reflected in your chart, as well as the potential effect any movement, or transit, of a planet or other heavenly object, has on the specific points of your chart. The cosmic clock that is astrology is an excellent way to tell us the duration and timing of any particular cycle you’re going through. Astrology is the way I look to see how my clients are faring, and if what they’re experiencing is a short-term, long-term, or potentially life-long, situation to be endured or adapted to. When it comes to being alone, though, most people who come to me are looking for some kind of reassurance that this desert, with its lack of possibilities, will not last. One of the question I have to ask when I’m assessing the balances and imbalances of their chart is, to what extent is this person okay with being alone? And further, to what extent is this person capable of being in a relationship? How comfortable you are with aloneness lies on a continuum. Consciously, we know and accept as adults that there are going to be times spent alone. Even in a marriage there can be times of alone-ness and even loneliness. The keyword in that sentence, though, is “times.” Time is something astrology can measure quite well. I can tell you when you’re most likely to go through a time of loneliness, but I cannot tell you how you’re going to feel about it unless I look at other factors in your chart. Yes, there are some people born with charts that show that loneliness is going to be something they’ll most likely have to find a way to cope with. And, from an astrological perspective, some people are simply better at coping with being alone. In this series, I’m going to look first at the most important timing device of the astrological chart, the Ascendant. The Ascendant is crucial to understanding how planetary movement affects your chart, and is determined, of course, by your date, place, and time of birth. Without the specific time you were born, we can really only estimate which house or houses your transits are going through, and transits are the second key to the timing of your chart. The Ascendant is also a valuable place to begin an analysis of how you approach relationships, because the Ascendant, amongst its other functions, shows me what your fundamental worldview is, the attitude you bring with you into life and into new beginnings. Your Ascendant is your doorway into life. It’s what you see and how you behave when you walk through the door into your life. The sign on the Descendant (the 7th house) is crucial to see who we’re likely to attract (and why) and how we might respond to that kind of person. Not every Ascendant sign is in love with the Descendant sign, and not all Ascendants or Descendants are necessarily compatible. The planet that rules the sign on that Ascendant is your ruling planet, and that means that if other things aspect your ruling planet, they carry more weight than even your Sun (which is much less important than Sun sign astrology would have you believe). After looking at the Ascendant, I will (later in this series) go house by house in the natal chart, to examine how the individual might cope overall with loneliness and being alone. Finally, I will analyze certain transits that relate to aloneness and/or loneliness to see how they are likely to affect you. Keep in mind as we go that aspects in the natal chart qualify the outcome for each person; in other words, I always look first at aspects to those planets most people find most difficult to integrate into their lives (usually the outers, Uranus, Neptune, Pluto). However, Saturn is very much implicated until the person learns how to work through life issues by assuming responsibility for his or her share in a problem. So, Are You Ready to Be in a Relationship? Here are the first six Ascendant and Descendant signs; Part Two: Libra to Pisces, will be posted later. Aries Ascendant/Libra Descendant: An Aries Ascendant is ruled by Mars, while Libra on the Descendant is ruled by a very different vibe, Venus. Although Aries Ascendant people are forthright in putting themselves and their needs first, they realize, from time to time, that others’ needs are important too. When young, an Aries ASC person is usually far too busy to have time for a serious relationship, so I would give this person a lot of time before you ask him or her to even think about settling down. They attract people looking for a serious relationship, or people who bring them problems to solve and fires to put out. Libra is a sign that frequently comes with issues around relating, so it’s not surprising if Aries rising attracts people who love the dynamism of a Fire sign Ascendant, but might have so many issues of their own that the Aries rising person is drawn in because s/he loves to solve other people’s problems, take charge and wrestle your dragons. Aries rising is typically comfortable with being alone, seeing the ability to endure hardship as a virtue and a strength, unless there are certain energies tugging at her, such as planets in signs that Aries finds tedious. Aries rising is also good at being alone because if you’re going to be a pioneer and do things other people find exciting and dynamic (there’s that word again), you really don’t want albatrosses hanging off your neck, holding you back as you attempt to leap tall buildings with a single bound. Libra on the Descendant, unfortunately for Aries rising, too often brings people who sort of desperately want to be in a relationship, so Aries rising gets the reputation for pushing away as many potential long-term lovers as possible, unless, of course, Aries leaps into a relationship very early in life and only leaves it if forced to. Aries rising sees the world as an adventure to be conquered (alone), a mountain to be climbed (alone), and so if she looks before she leaps and somehow ends up in a relationship she hadn’t quite thought through, determination and ego will make it hard for her to admit to any problems. Libra on the Descendant, depending on how natal Venus is aspected, will probably make this person much better at being in a relationship than one would ordinarily expect, given Aries’ propensity for wanting everything his or her own way. Taurus Ascendant/Scorpio Descendant: Taurus on the Ascendant has a worldview that assumes that life is made up of moments, most of hard work, but some of great pleasures that one should try to have more of. This belief in the power of the material world is one that guides her, but can also be one that deceives her into thinking she knows what she’s doing in relationships, which appear so easy on the surface. Taurus rising assumes everything is of equal value in that, if you work hard, you’ll eventually attain everything you worked hard for. This simple equation is not true, because people and relationships are not something you acquire. You can work as hard as you want, and it won’t guarantee a positive outcome. Relationships, for Taurus rising, is where the rubber meets the road, because Scorpio on the Descendant promises to break someone’s heart. The Eagles once long ago sang, “there’s gonna be a heartache tonight,” and Scorpio on the 7th house cusp attracts by presenting that tantalizing little tail–with no promise whatsoever of following through or having anything the other person does make any logical or rational sense. “You are mine to toy with,” is often Scorpio’s underlying belief, and until serious ego issues are worked through, the possibility exists that the vibe Taurus rising puts out, of being a serious chap with marriage on his mind, will end up with him looking into the dark eyes of some very determined young lady at 4 a.m. at some all-night dive who won’t “let him” go home until he invites her to his apartment. Scorpio on the Descendant tends toward power plays, which means the Taurus rising person could attract partners who want to control her, want to dominate her, want to make her dance to his tune. Taurus Ascendant gets dragged “innocently” into these contretemps and then wonders what happened to his life, once he’s agreed to marry someone he realizes too late he barely knows. The Taurus Ascendant person has to stay conscious to stay out of emotional traps he himself sets with Scorpio on the Descendant. More than most signs on the Ascendant, it matters very much where this person’s Neptune falls and what condition it’s in. Taurus rising believes in making something of herself before committing to a relationship, and yet that Scorpio Descendant has other plans. However, take into account that some Scorpio Descendants attract a partner with high ideals and almost rigid self-control. In that case, the Taurus Ascendant gets to loosen up a little and stop worrying so much about whether or not his grand plans will ever achieve fruition. Gemini Ascendant/Sagittarius Descendant: Because Gemini Ascendant’s worldview tells him or her that humans are fascinating creatures, and she should get to know as many humans as possible, Gemini rising likes relationships, a lot. They like to be in a lot of different types of relationships, and might not care too much about when one ends and the next begins. Although neither Gemini nor Sagittarius are particularly faithful, they can be, for the right person (who usually is fun and not too demanding except when it comes to texting. It is a given with Gemini that his partner will never leave him alone in the Land of Text). The pairing of Gemini and Sagittarius actually works in harmony in the natal chart; although the energies are “opposite,” some pairs are more or less opposite in nature than others. In this case, the two energies are similar enough–Mercury rules Gemini, Jupiter rules Sagittarius, and both like to talk a lot and take communication extraordinarily seriously–that they work together to attract people who share values and grow the relationship through communication. However, there’s a big caveat with this combination, because neither sign, unless modified by serious planets behaving well, is big on commitment, and both are capable of making entire asses out of themselves by blurting hurtful things. Or, lucky Gemini rising, just by virtue of being the social butterfly she’s capable of being, can attract someone who blurts, hurtfully. Gemini on the Ascendant projects a lot of quick-witted charm into the world, and the person who picks up that vibe in its rainbow hues–complete with sunny (or gossipy) disposition–is often a Fire sign looking for a good time and not necessarily much more. This is more true with other Air sign planets in the chart and less true with Water or possibly Earth. However, most people start to like being charmed and chattered at, and before you know it, your Facebook status has changed to “in a relationship,” and as long as neither person thinks too much about why they’re together, maybe it will last. Needless to say, this rising sign is rarely alone, and it’s unusual for a Gemini rising person to sit and ask themselves how they feel about being alone, since . . . Wait! Isn’t that George, that guy I met at the bar the other night after work? We have so much in common… and off they go. And this is why relationships are not likely to last forever with Gemini rising, unless her potential beloved can bring depth of mind and heart into her life. She appears on the surface to be all head and perhaps little heart, but nothing could be further from the truth. With Sagittarius on the Descendant, she’s hoping to find “the one” with each guy she asks out. Wherever you find Sagittarius, you find big dreams and fantasies woven from the plots of Disney movies; on the cusp of the 7th house, the secret wish could be for cotton candy colors on the bridesmaids’ dresses. Gemini Ascendant wants to find someone he can do a Spock mind-meld with, though, because the most important long-term draw is going to be that the two people share belief systems, as well as the ability to talk about everything under the sun. This is, therefore, a ‘mental’ sign that attracts more serious, even philosophical partners, but only when the Gemini rising person is ready to truly settle down. This moment in time comes either after they’ve done everything they wanted to do (without interference), and are worn down and tired of the games; or when they’ve done everything they wanted to do (without interference) and now they’re sad and disillusioned and need someone to help them dream again. Until then, they really are just passing through, and trying to tie them down would be like throwing sand on Tinker Bell’s wings–so mean! There are Gemini Ascendant people out there attracting Sagittarian big-brained philosophical types, philosophers and mystics, who are completely faithful and deeply into commitment. They are not unicorns. They do exist. They have other planets, perhaps a very serious Saturn or Pluto on the Ascendant, anchoring their balloons so they can’t fly away. Cancer Ascendant/Capricorn Descendant: There are states (in America) that allow people to marry as young as 13 or 14. I imagine a lot of these people could have Cancer on the Ascendant. There are some people born to get married, and this combination is definitely one I’d look to for enthusiasm about the married, or for those who never marry, at the very least a settled state. Moon rules the chart, and Saturn rules the Descendant, so the two most important planets for these people’s relationships are crucial to keep an eye on. The Moon is, as everyone knows thanks to Shakespeare, the most inconstant orb in the heavens, and so it will be in the natal chart. This is why the Cancer rising might never get married; they are buffeted by emotional storms for most of their lives, and finding ways to cope with these many emotions becomes the task of the lifetime. Their worldview is shaped around the concept of emotional security. Life either looks tedious or scary, depending on whether they like where they were born and who raised them. The rest of their life is spent either escaping their childhood or recreating it. With Moon and Saturn ruling their relationship axis, though, there is a great likelihood that one person in their future relationship plays mommy, while one plays daddy. Be careful of this dynamic; if you’re comfortable being cast in a role, that’s all well and good, but it’s not for everyone. Capricorn on the Descendant adds an interesting twist to this story, though, because Capricorn’s ruler, Saturn tends to slow things down. So you’ve got the Cancer rising person putting out permanency vibes into the universe, but Ms. Right is taking her own sweet time finding him (notice the passive stance–Cancer rising is not exactly making his intentions clear, but he wiggles those crab feelers from time to time and hopes a partner comes looking for him). What does this Ascendant really want? I don’t think it’s a big secret that Cancer wants security so that he can stop worrying about who’s going to pay for everything, who’s going to fix the broken toilet, and where she’s going to live. These people like their lives planned out because planning equals security, and with too many choices in life, something’s bound to go wrong. It would be better if she just finds Mr. Right early on, and then her life can begin. Of course, there are Cancer rising people who never marry, or marry quite late, thanks to the Saturnian influence of Capricorn on the Descendant (it’s best to check the condition of Saturn in a chart with Capricorn on the Descendant). One could say that until they are safely ensconced in a secure marriage (because people do make mistakes and marry for the wrong reasons, particularly Cancer, who too often wants to make their family happy) they will default to loneliness, and a kind of Capricornian gaze of pain whenever they see couples walking hand-in-hand. If they never marry, then Capricorn on the Descendant wasn’t about setting up a life based on responsibility and duty to a family of one’s own (and attracting a mate who can help with that), it was about the individual’s need to take responsibility and possibly give to their family of origin (or find another kind of family to give to, an extended family of some sort). Leo Ascendant/Aquarius Descendant: I often think a Leo Ascendant is a mixed blessing, because along with all that fiery bravado comes the Aquarius Descendant, which makes Uranus the ruler of the 7th house. The combination of Uranus with the 7th house means all hell breaks loose for these brave but often foolish people when they’re in love, and they’re in love far too often to be believed. Rulers of Leo and Aquarius, Sun and Uranus, are both equally determined about a lot of things, so one cannot expect the Leo rising person to stand down in the face of life’s challenges, including the challenge of relationships. Leo rising’s worldview is based on the idea that he’d better put himself forward if he’s going to succeed, and he does that with as much self-confidence as he can muster as consistently as the Sun until he accomplishes his goals. But Leo Ascendant people are fools for love, and while no gesture is too extravagant, it’s not a given that the person they attract will appreciate the Leo rising person’s generosity. The partner is just as likely to throw that extravagant fur out the window of a highrise building and demand you grant them their freedom, or the keys to the Porsche. When they’re not blowing their money on some new gorgeous arm candy, it’s also possible that Aquarius on the Descendant is working to bring them someone quite extraordinary, an intellectual marvel who is demanding in her own way. It’s rare for someone with Aquarius on the Descendant to find absolute contentment with someone too similar; their ideal person worships them, but has a life of their own, the more impressive, the better. Uranus ruling the Descendant brings many, many opportunities for love, and probably many different kinds of lovers during the course of one’s life, but Uranus as the ruler of any house promises turmoil. It can be very draining to one’s psyche to experience repeated disruption in one’s personal relationships, and Leo rising only thinks it likes all these differences in personality parading through his or her life. Love can be a battle of wills for Leo rising with Aquarius on the Descendant; he has no intention of capitulating, and tries to maintain control over his lovers, who are unpredictable at best. Leo rising loves to think she has everything under control, when in fact, the greater likelihood (with Fixed Fire) is that she’s in denial, and that her lovers control her, if only because of her very real need to have someone love her. There is too often a pretense made at independence; Leo rising needs a lover’s approval and attentions like bees need pollen. Look to see if natal Uranus falls on one of the angles, because then it’s very strong in the chart; if it actually falls in the 7th, the Leo rising person’s life is lived at the whim of his romantic inclinations. Unless there are other factors in the chart to mitigate against Uranus ruling the Descendant, the Leo rising person might run out of time with all his courting, wooing, and winning the heart of each new conquest. Eventually, time catches up with this Fire sign, and if they haven’t settled down and minimized the chaos of their love relationships, they can find themselves alone at the end of life. It is very, very easy to get Leo rising to fall for you. All you have to do is play hard to get, but when he does get ahold of you for a few minutes, tell him with great sincerity how wonderful he is. Then be too busy for two or three weeks at a time; Leo rising wants, more than any other rising sign, to believe he’s investing in high-quality people, because your glory reflects on him. Appear to be in great demand, flatter, flatter, flatter, and look fabulous. They eat it up like catnip. Virgo Ascendant/Pisces Descendant: Pisces on the Descendant makes these otherwise sane and far-too-rational people a little dangerous when it comes to their projected emotions. They tend to be a little too unaware that others they care about are overstepping their boundaries, taking them for granted, or using them. With Pisces on the Descendant, Neptune rules the 7th house, and you don’t want that. When their otherwise finely-tuned instincts fail them, it’s always over someone who somehow charmed them. When you dig a little deeper, there are a lot of wounded puppies in the world that Virgo rising is, at this moment, in the process of rescuing. They tend to attract the walking wounded, and will do everything in their power to deny that there is romance in being a broken human being. I suspect Pisces on the Descendant brings out the inner, usually suppressed “nurse” instincts of Virgo rising, who pulls out their Ms. or Mr. Fix-it kit as soon as they hear the clarion call of some wound “only they” can help with. Obviously, the real problem here is whatever Virgo rising isn’t willing to look at in herself. I’d keep a clear eye on the Virgo rising person’s Chiron to see how she deals with her own sense of woundedness. The next thing to pay attention to is where Neptune falls in the natal chart. I can guarantee you that most people (except creative types and musicians) are not consciously aware of the way in which they use their natal Neptune. Neptune’s influence has a tendency to be experienced almost like white noise or background music, pulling one’s heartstrings in weird and unexpected ways. If you find yourself crying over a piece of music and you know it’s not your hormones, it’s most likely a Neptunian-inspired memory floating through your subconscious. But this loss of emotional control doesn’t happen for Virgo rising (usually) so how is this Mercury-ruled rising sign supposed to explain the strays she brings home? The truth is, she felt sorry for the person, whom she most likely perceived as an underdog. Virgo rising’s nobility comes out when she’s taking care of others. Her worldview involves a deep belief that she is here to fix things, and so when her innate self-sufficiency is suspended, it’s for a good cause. She can be lonely indeed, but it’s an Emma Bovary* romantic loneliness. *Read Gustave Flaubert’s Madame Bovary for the quintessential Pisces/Virgo type. READ NEXT: The following six signs, Libra through Pisces, in Part Two of this article. Alison M. Gunn, Ph.D., has studied and practiced astrology for over 40 years. Her primary teachers were Noel Tyl, Jeff Green (before the 'Wolf'), and Maggie Nalbandian of Astrology Et. Al, Seattle, Washington. Alison specializes in relationship astrology, specifically Solar returns, Venus returns, synastry, composites, and progressed composites, although she also works with Mundane, Medical, and Judicial (predictive) astrology. Her belief is that astrology is a language, a symbolic system based on thousands of years of information. 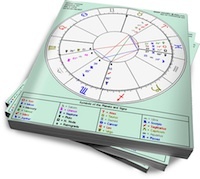 Alison's website is beyondthestarsastrology.com, where you can arrange a personal reading with her. As a Cancer rising – I always forget saturn rules my 7th which squares my chart ruling moon…this was a great reminder and helped explain a lot as well. Looking forward to pt. 2!